Mountain views all around! Great Botetourt subdivision! 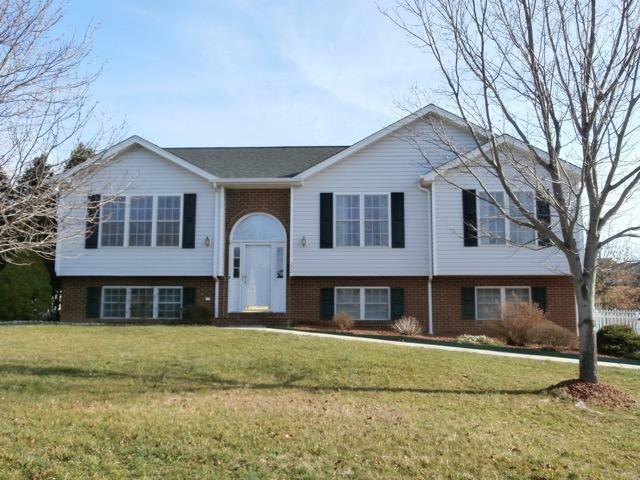 Pergo flooring upper level, NEW carpet in B/R (4/17), large EIK w/sunny breakfast nook, French doors onto screened deck, family room lower level with gas log FP, spacious laundry/mud room, oversized 2 car garage. Vinyl picket fenced backyard with garden spot, storage building. Close to half acre lot! Furnace replaced 2014. Newer water heater.